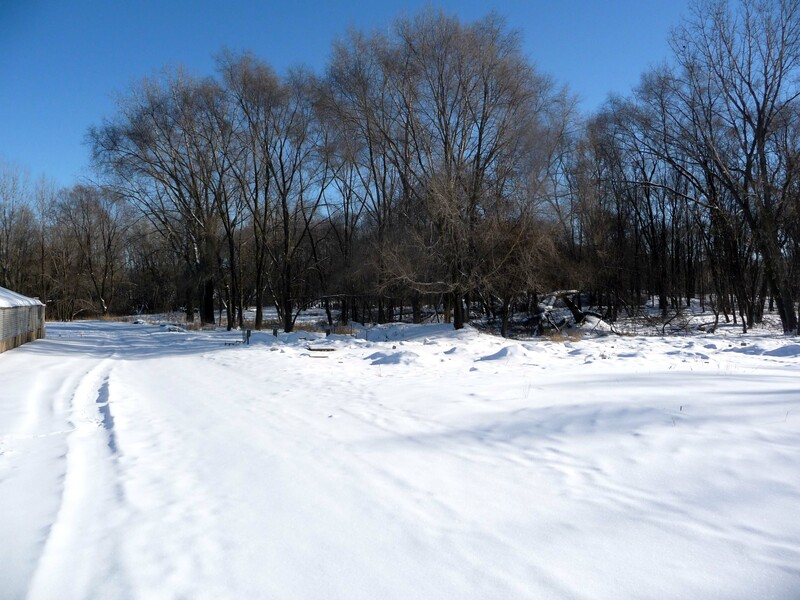 About a month ago – in early December 2013 – I learned that I’d need to move from my Maplewood farm. I’ve been leasing that space for about two and a half years, but the owner had found a buyer who took possession the beginning of 2014. It was a scramble to find a new location, but I found a farm space in Ham Lake where I was able to locate logs, trailer, and other farm stuff. Either I’ll stay there next year or I’ll be moving on to another space in the spring. Yes, my on-and-off employee and a wonderful team of volunteers came to the rescue and we moved at least 2500 pretty heavy logs, plus piles of much larger supporting logs and pallets, storage tents, farm trailer, hoses, tools, shade fabric, shade structure cables and posts, and more! Thank you so much! 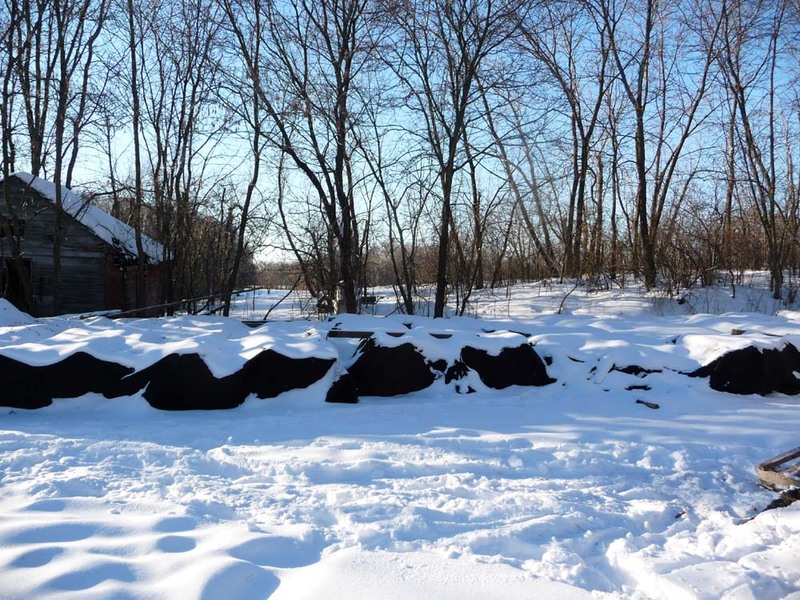 Below is a parting picture of the Maplewood farm site (goodbye!) and then another of logs stacked up in Ham Lake and protected with shade fabric for the winter (hello! ).